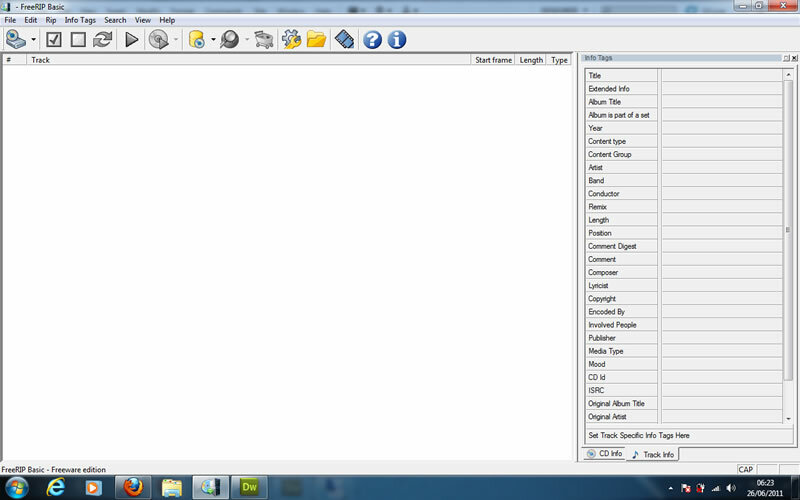 FreeRip allows us to convert many different types of files from one format to another. 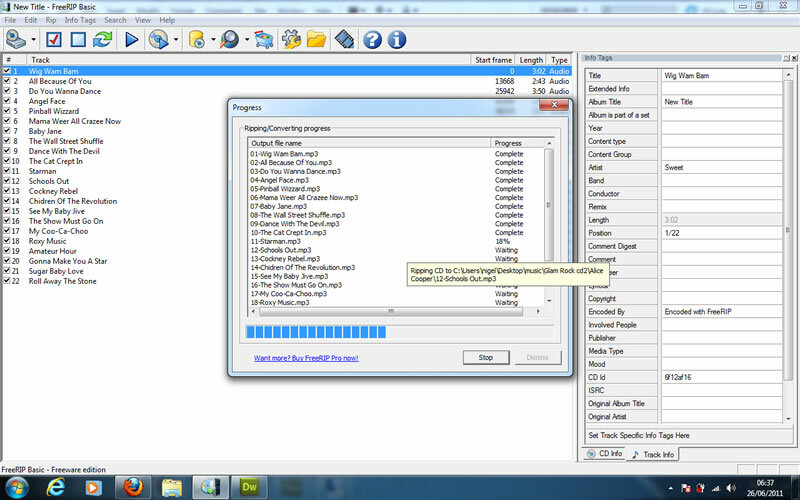 This particular tutorial will show you how to convert cda in to mp3 which is pretty handy. It does only take about 5 minutes to learn how to do this so just read trough it and see what happens. How to convert cda to mp3 OR wav, flac, vorbis and many more. If you like this tutorial please leave a comment. When you first open FreeRIP you will see the window below. Now FreeRIP is set to convert files and place them all over your Desktop by default. This is a mess so we need to create a new folder and tell FreeRIP to put them there. Look at the top of the FreeRIP window and you will see a yellow folder. You need to left click on this with your mouse. This will open a "browse for folder" window like in the screenprint below. Use this to navigate to the folder you want your converted files to be placed, then click OK.
We are now ready to begin the conversion process I have decided to convert my files from .CDA to .MP3 it does not matter what you convert them to the process is the same. Now put a cd in your drive and you will see the screenprint below. You will notice it has listed all of the songs on your CD. So click on the icon which looks like a CD with a blue arrow on it at the top of the window. 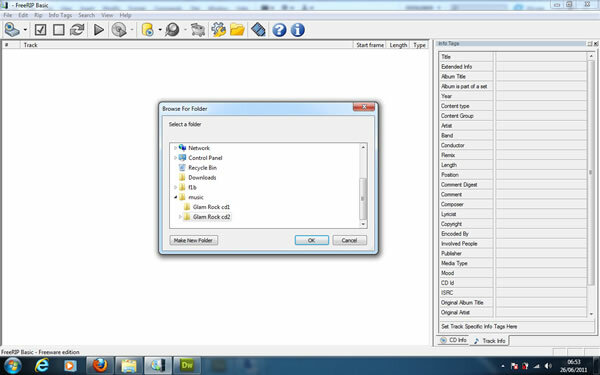 This wil give you the option to convert your files. Left click with your mouse on the one you want. As soon as you left click on the one you want it will start to convert your songs and put them in the folder you specified earlier. If you look at the screenprint below you will see it gives a percentage of completion. When it has completed a window will open showing you the converted files. Close this window so you can see the FreeRIP user interface. You need to click on Dismiss and eject your CD. 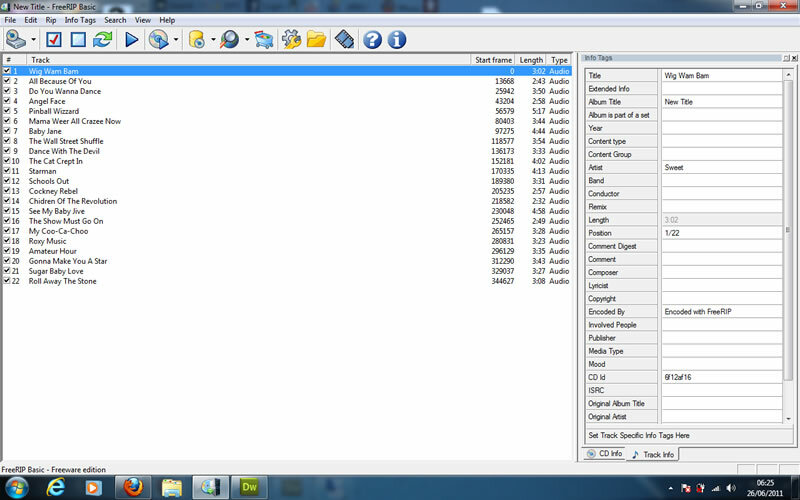 You now know how to convert cda to mp3. If you would like to learn how to change the name of a track click here.